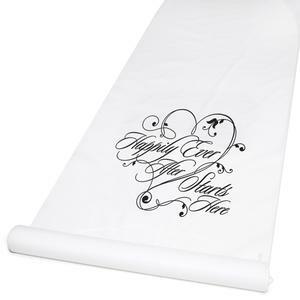 30060 - Roll out this aisle runner and make the big announcement: happily ever after is starting right now! The design is printed in black. Dimensions: 36" x 100'.